nominated Best Cover BanD Maryland Music Awards! The NoWhere Men welcome Mark Arcusa as one of our lead vocalists. Mark comes to the Nowhere Men as its youngest member and as he puts it "ready to learn the ropes from the vets". He’s been singing all his life, and feels “blessed with the opportunity to share the stage with such talented musicians and great guys.” By day, he’s a Computer Graphics and TV/Film teacher at Bowie High School, and loves singing everything from the Temptations to Bon Jovi. We look forward to sharing his talent, energy and charismatic personality with you all. "Stuck in the 60s and 70s and loving it"
Like to dance? Love that Motown sound, the great horn bands of the 60s and 70s and hits from artists like Chicago; Earth, Wind & Fire; The Four Tops; Stevie Wonder; The Temptations; Blood, Sweat and Tears; Tower of Power and much more? Then you will love The NoWhere Men. Originally formed in the 1960s and still playing the music they love today, The NoWhere Men will provide great LIVE music for your event. The members of The NoWhere Men have performed in venues with some of the legends of music, including such stars as Sam Moore (Sam & Dave), Gary Puckett, Sy Palmer (The Drifters), The Grass Roots, Three Dog Night, Felix Cavaliere and the Rascals, Dan Akroyd (Blues Brothers), Frankie Valli and The Four Seasons, and Kool & The Gang. 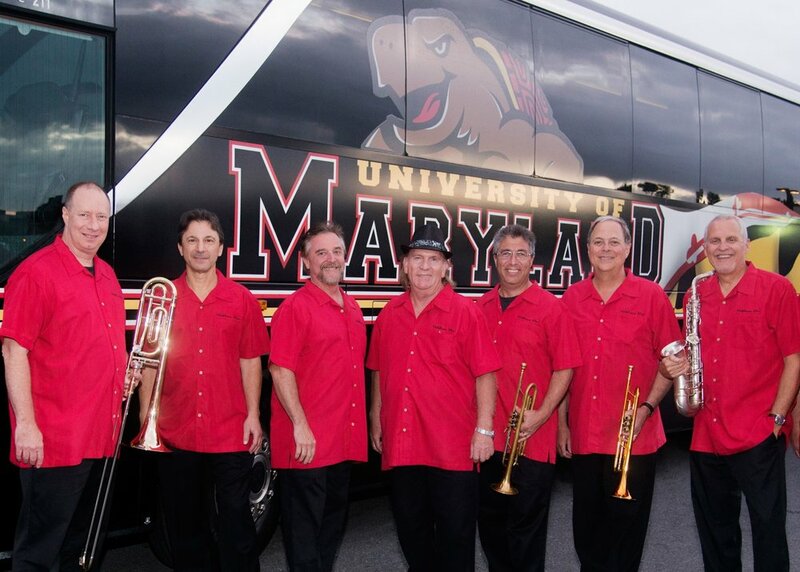 Congratulations to founding NoWhere Men member Tom Rodante on his induction into the Maryland Entertainment Hall of Fame with the band 2nd Coming! Click here to see our full calendar and details for upcoming events!